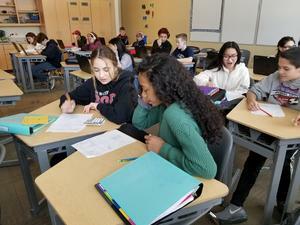 Eighth Grade Math Extension students work on math programs. 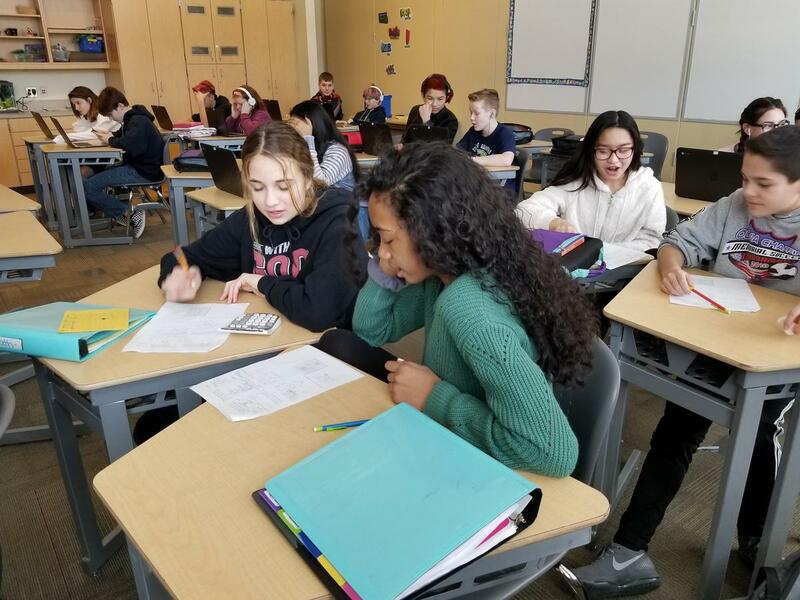 Once a week the students in Eighth Grade Math Extension work on the math programs, Moby Max and Kahn Academy on the Chrome books. Both programs help expand concepts the students are currently working on. 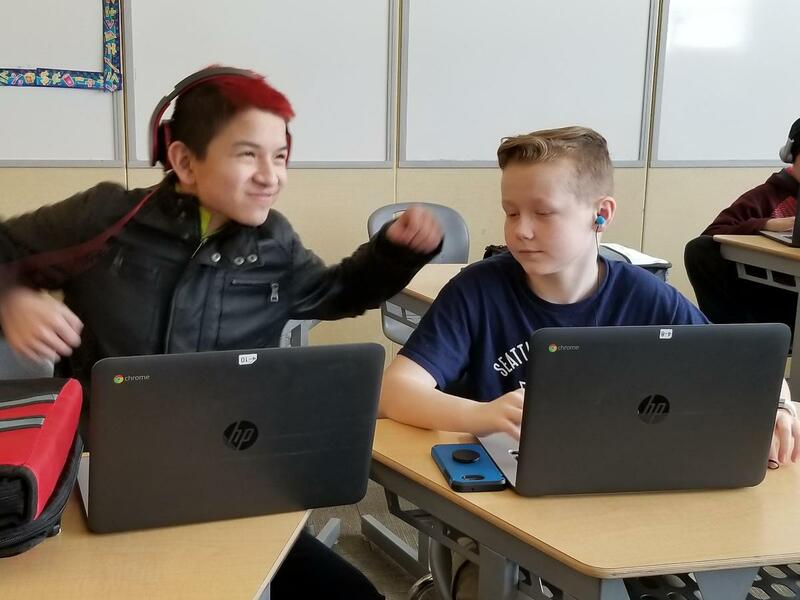 The students also work on stations which are real life problems developed with the same rigor as the state learning standards.